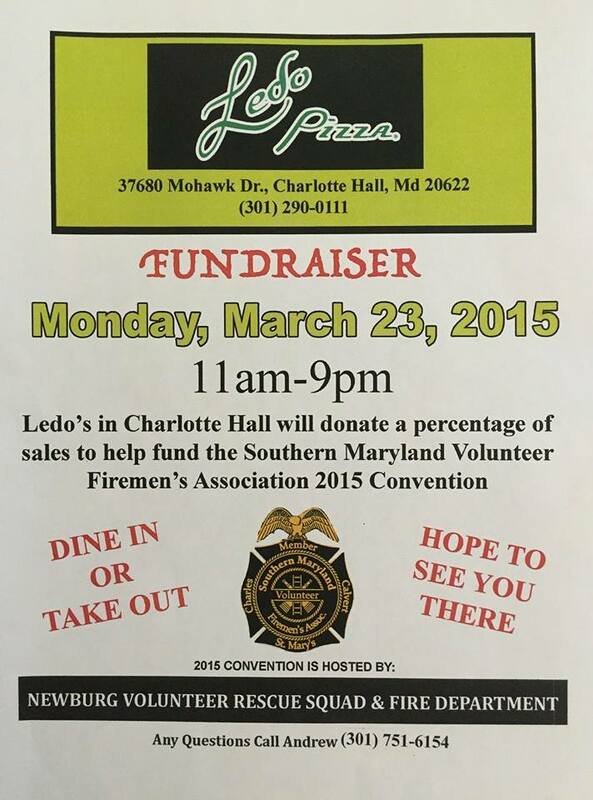 On Monday, March 23, 2015 the Ledo’s of Charlotte Hall will be assisting the Southern Maryland Volunteer Fireman’s Association (SMVFA) with raising money for their 2015 convention. The Ledo’s will donate a percentage of the sales that they obtain on the 23 of March from 11am to 9pm. This year the 2015 SMVFA will be hosted by the Newburg Volunteer Rescue Squad and Fire Department. We hope to see you there.